More than 40 nematode species have been associated with citrus worldwide. The economically important species are the citrus nematode (Tylenchulus semipenetrans) and the burrowing nematode (Radopholus similis). 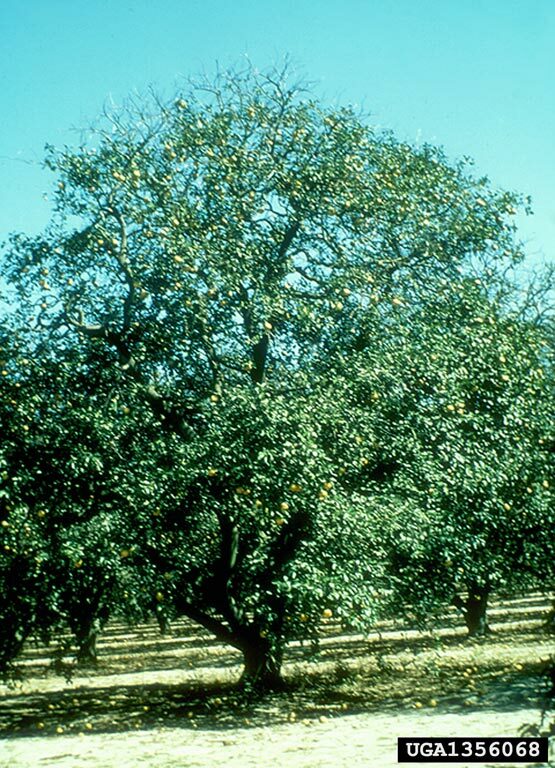 It causes a slow decline of citrus trees. 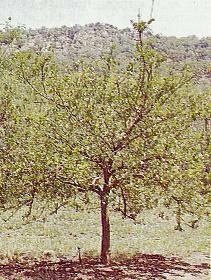 Affected trees show reduced vigour, small yellow leaves, defoliation, die-back of twigs, and small fruits. The citrus nematodes are ectoparasitic and sedentary. Only females are parasitic on roots. They are found on the surface of fibrous roots under debris-covered egg masses embedded in a gelatinous matrix. The life cycle, from egg to egg, is completed within 6-8 weeks at temperatures of 24-26degC. Optimal reproduction occurs at 28-31degC. Soil salinity increases the population density of citrus nematode. In affected orchards, populations of the nematode are concentrated in upper soil layers. Movement of plant material and soil is responsible for the spread of the nematode. Also agricultural implements and water (irrigation or rain) spread the nematode in a citrus orchard. It is called "burrowing nematode" on account of the cavities and tunnels it produces in the root tissues. 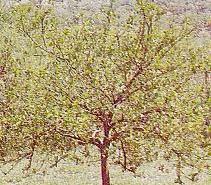 Symptoms are generally present on groups of trees that increase in number with time, hence, the name, spreading decline. Symptoms are much more severe than in the case of T. semipenetrans and the spread is much quicker. Affected trees show fewer and smaller leaves and an abundance of dead twigs and branches. Trees wilt during periods of lack of moisture but generally the trees are not killed. It is an endoparasitic and migratory. Two distinct races of the nematode are known: the banana and citrus race. The former is known to attack banana roots but not citrus. The citrus race attacks bananas and citrus. The life cycle requires 18-21 days at 24-26degC, the optimum temperature being 24degC. Burrowing nematodes migrate through roots and from root to root to feed. The nematodes are rarely found in the top 10 cm of the soil, highest populations being between 30 and 180 cm. Primary spread is thorough propagating infested seedlings. Use certified nematode-free planting stocks. Use tolerant / resistant rootstocks. Use cultural practices that enhance plant growth.